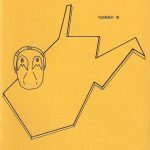 View Cart “1983 Volume 35(2) PDF only” has been added to your cart. 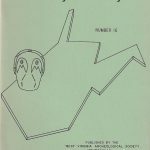 Aboriginal Man in West Virginia/ Publications of the West Virginia Archeological Society/ President’s Message (Joseph Essington)/ The Opening of the Natrium Mound – and its Aftermath/ The Trinomial Classification System for West Virginia (Ralph Solecki)/ Report on Adena Site HK-35 near Tomlinson Run, Hancock County (E.W. 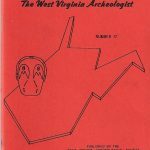 Fetzer)/ West Virginia Archeological Society, Inc.
Middle Woodland Mortuary Rituals in the Gallipolis Locks and Dam Vicinity, Mason County, West Virginia (Clay and Niquette). Possible Summer and Winter Houses at the Fort Ancient Philo II Site (Carskadden). Hansford Ballfield Site – 46KA104 (Youse). 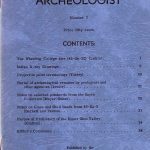 Amendments to the National Historic Preservation Act: Implications for the Coal Industry and Cultural Resource Management Archeology (Niquette). 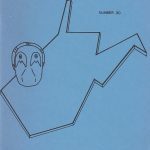 The Kentucky, Ohio, and West Virginia Radiocarbon Database. (Robert F. Maslowski, Charles M. Niquette, and Derek M. Wingfield). Kentucky’s Historic Pine Tar Industry: Comparisons Between Large and Small Scale Production Technologies (Charles D. Hockensmith and Cecil R. Ison). 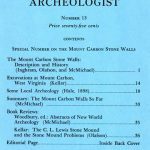 Beta-Count and AMS Radiocarbon Dates of Woodland and Fort Ancient Period Occupations in Ohio 1350 B.C. – A.D. 1650 (Christopher Carr and Herbert Haas). 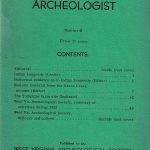 Bioanthropological Investigations of the Burning Spring Branch and Reynolds Cemeteries, Kanawha County, West Virginia (Alexandra Bybee). Human Remains as Burial Accompaniments at the Hopewell Site (Timothy Lloyd). 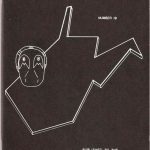 Book & CD Reviews: Red Salt and Reynolds (Bernard Means). Your Fyre Shall Burn No More (Roger Wise). Cultures Before Contact (Wesley Clarke). 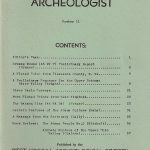 An Analysis of Historic Materials Salvaged from the Glenwood Quarters (William Updike and Flora Church). 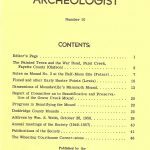 A GIS Analysis of the Archaic to Woodland Period Settlement Trends in the Margaret Creek Watershed, Athens County, Ohio (Rachael Crews, Elliot Abrams, Ann Corinne Freter, and Jeffery Ueland). 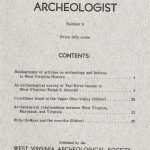 Bibliography of West Virginia Archeology (Robert F. Maslowski). 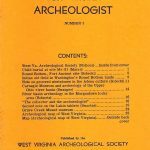 Siouan-Style Attributes on Pottery from Late Prehistoric and Protohistoric Sites in Southern West Virginia (Darla I. Spencer). Film Review: Secrets of the Valley: Prehistory of The Kanawha (Bernard K. Means). 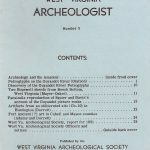 Book Notes: Woodland Period Systematics in the Middle Ohio Valley. 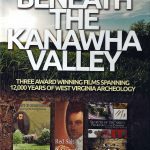 Covering 12,000 years of West Virginia archeology, Beneath the Kanawha Valley is a compilation of three award winning films: Ghosts of Greenbottom, Red Salt & Reynolds, and Secrets of the Valley. 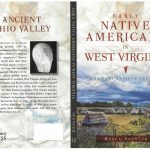 Early Native Americans in West Virginia: the Fort Ancient Culture details what is known about the native people who lived along the river valleys in southern West Virginia between approximately AD 1000 and the arrival of the first Europeans. Archaeologists call the people Fort Ancient. 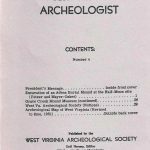 © 2019 West Virginia Archeological Society.